If 2017 is the year of big change for you, consider moving forward in the fitness/wellness zone too. If hogging on bread makes you feel full and guilty, try going gluten-free. It’s a healthier option and will make your life better. Banana flour is a great option for those who like their taste of wheat chapatis for it is close to wheat but without the gluten. Starting at INR 450 a kg, it’s a bit of a splurge but will reap benefits in the longer run. You can order it at this website. Used for smoothies, pancakes, muffins, brownies and also to thicken soups and gravies, coconut flour has a significantly high amount of protein when compared to wheat flour. You can buy it at INR 980 on this website. We did it before it became cool to the west so why not stick to our roots. 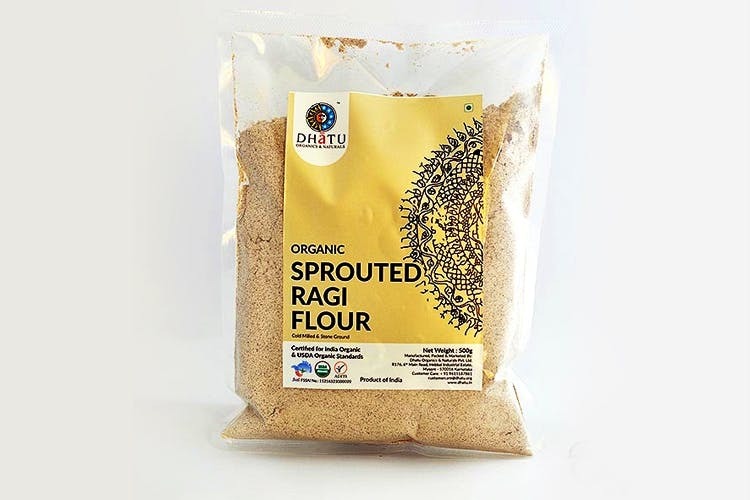 The southern part of the country, was familiar with ragi or finger millet since ages and has anti-microbial properties, keeps you diabetes-free and is a high-protein alternative to wheat flour. You can buy gluten-free ragi flour here at this website. Now Sorghum may sound fancy but all it is, is fodder. Yes, the chaara that we feed our farm animals. It’s a high-fiber food and a rich source of protein, manganese, iron and calcium. It has a mild, nutty flavour and can used for making a range of dishes. Buy it here.